Srinagar, Aug 27 (KNS): The public information officers (PIOs) in government departments are still not well versed with it, resulting to denial of information to applicants. The RTI Act 2009 was implemented in Jammu and Kashmir nine years ago. Despite, the State Information Commission (SIC) has taken on the government several times over “deficiencies” in implementation of RTI Act 2009 in the state, there has been rarely in change to make PIOs well versed with it. The SIC has written to the heads of departments that that there have been “deficiencies, weaknesses” in implementation of the Act that “deserve priority attention”. Following which, the departments recently issued directives to their PIOs to be “well versed” with the RTI Act 2009. 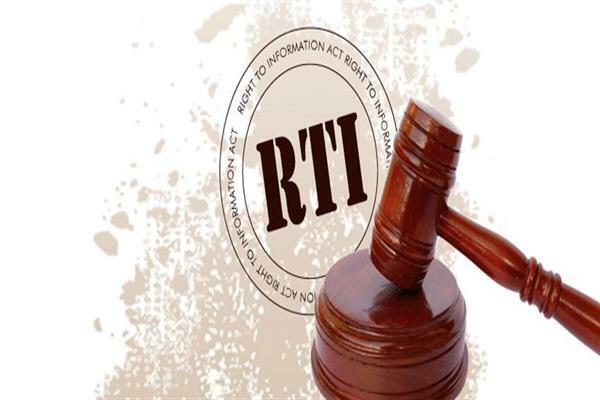 “It has been observed that the information under the RTI is not being provided timely to the RTI activists with the result they approach to the first appellate authority for providing of information under RTI Act 2009. In most of the cases, the PIOs are not attending the first appeal in the office of the first appellate authority personally and send their representatives for hearing,” an order issued to departments reads. Several departments have directed PIOs to get themselves “well versed” with the RTI Act and produce the information to the RTI activists well in time. “These instructions may be adhered in letter and spirit and non-compliance of the instructions shall be viewed seriously,” several departments have issued orders. An official of the General Administration Department told Kashmir News Service (KNS) that directives were issued as SIC has expressed “unhappiness” over deficiencies in implementation of the RTI Act in the state. “The departments have been told that lack of awareness among PIOs is leading to denial of information to applicants,” the official said. “Non existence of special RTI calls in most government offices for providing assistance to the RTI applicants,” the SIC has said. Now the State Information Commission has also been rendered headless.